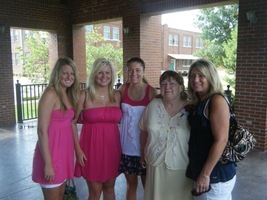 Provide comfort for the family of Marie McElyea with a meaningful gesture of sympathy. 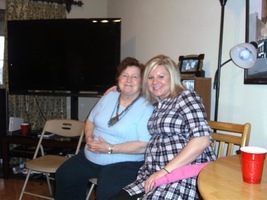 Marie McElyea, 79, of Muldrow, Oklahoma passed away on Thursday, March 28, 2019 in a local hospital. She was born in Leavenworth, Kansas on April 18, 1939. She was raised by her grandparents, Cordie Mae and John Logel. 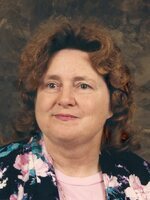 Marie was a retired nursing assistant from St. Edward Mercy Medical Center and a member of Cornerstone Baptist Church in Muldrow. She was preceded in death by her son Clint McElyea and a great grandson Colt McDonald. Funeral service is 1:00PM, Monday, April 1, 2019 at Cornerstone Freewill Baptist Church in Muldrow, Oklahoma with burial in Cottonwood Cemetery under the direction of Ocker-Putman Funeral Home of Fort Smith, Arkansas. She is survived by her husband, Harold of the home; three daughters, Cindy McDonald and her husband Doyle of Muldrow, OK, Edith Walker and her husband Ray of Fort Smith, AR and Diane Corley of Yukon, OK; two sons, Billy McElyea and his wife Penny of Barling, AR and Gary McElyea and his wife Lisa of Sallisaw, OK; 14 grandchildren and 22 great grandchildren. The family will visit with friends from 2-4PM on Sunday at the funeral home. 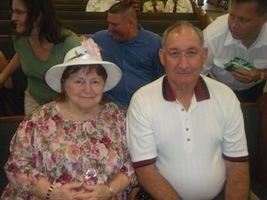 Memorials may be made to Cornerstone Freewill Baptist Church Building Fund, 895 Ray Fine Blvd Roland OK 74954. To plant a memorial tree in honor of Marie McElyea (Baker), please visit our Heartfelt Sympathies Store. A moment of prayer..."Jesus gave away to tears." John 11:35 Our deepest sympathy, Praying you'll be comforted with precious memories, help comfort you tomorrows. You are apart of who I am, you made me who I am. Always an adventure going here going there weeks every summer I spent with you. So many memories I am flooded with.We did so much It was never a dull moment. You were always happy outgoing and a big piece of you stuck with me. I have to remember to have that “if you can’t see it why wear it” attitude! So happy Nevada got to meet you and spend some time with you. We will miss you and you will always be in my heart I Love You! My deepest sympathy to Marie's family. I hope your fond memories of her give you comfort. Prayer to God for comfort will also help you to get through this difficult time. Our Creator views death as an enemy that he will eliminate. (Isaiah 25:8) Never again will we mourn the passing of a loved one. Those who have died will live again as stated in Acts 24:15. I hope these wonderful promises from God give you comfort.